Changing what we eat today for a healthier tomorrow. I am blessed to work with people every day who want to make a better life for themselves by starting with what they put in their bodies. In addition to my clinical practice, where I help people shed weight, heal digestive issues, improve their energy levels and live a more vibrant life, I also love to create in the kitchen. From a young age I was helping my mother and grandmother create dee-licious meals and treats. These days, I love to take recipes and make them healthier, as well as easier and then share them with you. Welcome, have a look around and come back often! Deanna's painstaking research about my bone density and fibromyalgia issues have led me to a consistent yet convenient regimen that has allowed me to stop taking ibuprofen on a regular basis, greatly diminish cold sore outbreaks and cure a spastic colon. Any one of these alone could be considered a monumental achievement after suffering with these for decades. I can't undo 50+ years of bad eating habits in 2 years, but I've "come a long way, baby". My next goal is to begin reversing my bone density loss now that my body is better able to absorb nutrients. And it's not all about vitamins and supplements. Deanna has shown me how to eat healthier - foods that are better suited to the specific needs of my body - foods that help me rather than put an extra burden on my system. 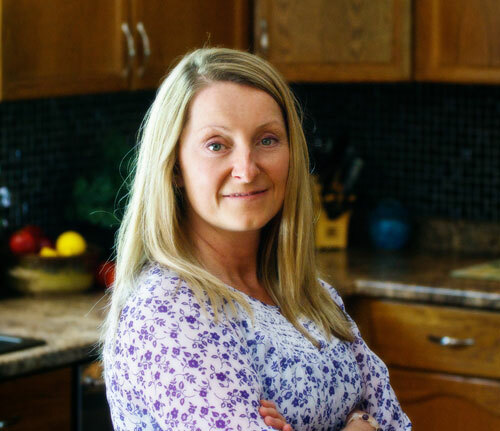 Deanna is an energetic, friendly, knowledgeable and supportive Nutritionist. She has helped me through many transitions in my life including eating a healthier diet, becoming vegetarian and most recently detoxification.She has been there for me every step of the way and I am thankful for that. Deanna works with each Clients needs and is understanding when it comes to peoples lack of knowledge on certain subjects, time restrictions or even commitment levels. She always recommends up to date publications to increase ones understanding on certain topics in addition to taking it one step at a time until her patients are fully committed to that first step into a healthier, happier life. Dee, your talk was very informative. Your topic is one that I can relate to. Took a lot of good information away and am implementing several changes. I have told many people about the day and all have asked "if they can come to the next one". Great day - hope they will continue. I am a sixteen-year-old girl who has struggled with serious acne since I was in grade 6. I have tried every acne medication on the shelves in the pharmacies. I have found that most of them do not work. The ones that do, work only in the beginning and then my skin would become accustomed to the cleanser. I have also even gone to the doctor to get prescriptions, which do not work as well. Then this is when I went and saw Deanna. Deanna got me to do a cleanse of my body, removing the toxins to start out fresh. I was put on some natural herbs and minerals to give my body the right amount of vitamins, which it needed. After the cleanse we began to do an elimination diet to see if my skin reacted worse to certain things I ate. When doing the elimination diet we found that I had an allergy, which caused my skin to flare up with serious acne. Now I take my minerals and herbs daily and I have a diet which does not include any of the foods I am sensitive to and my serious acne is now gone. Without Deanna’s knowledge I would still be trying the acne cleansers at the pharmacy and would not be getting anywhere. I would like to thank Deanna so much for all that she has done for me to get me acne free. I absolutely love the organic deodorant, "Fresh as a Daisy". I have been using it through some very strenuous workouts and still come out smelling fresh. Your hormone talk was extremely enlightening! I thought I was destined for hot flashes and mood swings. Thanks for shedding light on this for me. I learned lots of valuable strategies I can implement right now. Registered Holistic Nutritionist, Electrodermal Screening Practitioner, Chakra & Reiki Practitioner, Sport's Nutrition and Weight Loss Expert.